Illustrations note XIX, 258 p.
Naomi Zack is Professor of Philosophy at the University of Oregon, USA. 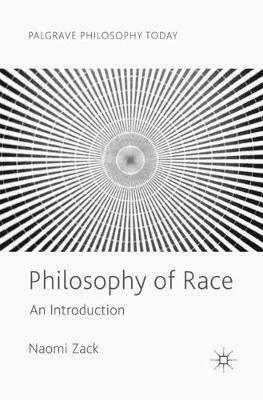 Zack's newest book is her edited 51-essay Oxford Handbook on Philosophy and Race (2017). Recent publications include: The Theory of Applicative Justice: An Empirical Pragmatic Approach to Correcting Racial Injustice (2016); White Privilege and Black Rights: The Injustice of US Police Racial Profiling and Homicide (April 2015) and The Ethics and Mores of Race: Equality after the History of Philosophy (2011/2015).